Assess in Ontario the basic agronomic, disease and quality evaluation of malting barley varieties from around Canada, the USA, and the rest of the world that are known to have good malting and brewing quality in their home environment. Evaluation and modification of old and new methods to determine critical malting quality parameters in barley to develop methods for malting barley breeders that are high throughput, small scale, and cost-effective. 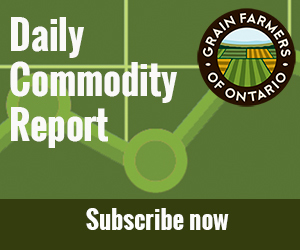 The identification of well-adapted barley introductions may lead to adoption of new varieties directly for production of good malting quality barley in Ontario, with the associated malting premium for producers. The optimization of barley grain analysis in predicting malting quality from this project will make it easier to identify new varieties of malting barley for production in Ontario to meet the demand for local barley by craft and large commercial maltsters which supply the growing craft and international brewing markets in Ontario. The development of new protocols for evaluating small amounts of grain for traits related to malting quality will enable effective selections for quality at an earlier stage in the breeding process, increasing potential gains from selection, as well as reducing costs and time involved in variety development. There is a growing interest in malting barley production in Ontario both from craft breweries and farmers. Craft breweries in Ontario are looking for locally grown malt, but many are sourcing their malt from outside of Ontario. Farmers are interested in malting barley production as a high-value alternative to traditional commodity crops in many areas of Ontario. Current barley varieties grown in Ontario do not have the quality required for production of malt for the brewers in Ontario and Eastern Canada The varieties in the Canada Eastern Malting class lists are not well-adapted to Ontario growing conditions, yield less than current barley varieties, and the malting quality is not the same as when grown in their area of adaptation. The two goals of this project are identifying high quality malting barleys best adapted to Ontario and evaluating and modernizing methods to evaluate malting quality on small samples of un-malted barley grain. The specific needs and special situations of craft maltsters and craft brewers will be given special consideration in evaluating the malting barley varieties. The initial agronomic evaluation of malting barleys will be done in un-replicated hill plots and head rows. Non-destructive malting quality analyses will be used to select lines to advance through the project. The second year of agronomic evaluation of malting barleys will be done in replicated trials at several locations in hill plots, head rows or multi-row plots, and these plots will be also evaluated for yield potential. The selected lines will be run through a more extensive series of quality evaluations. In addition to identifying potential malting barley breeding parents, this project will be evaluating and modernizing techniques have been used in the past to evaluate barley for potential malting quality. These older barley grain techniques need to be updated using modern technical advances in smaller scale, higher precision electronic devices and higher throughput, lower cost machines. Initial modifications and optimizations to barley grain tests will be made using a standard array of known malting quality barley samples. After refinement of the protocols, validation will be with a wider array of barley varieties from a more diverse set of environments to identify the most robust suite of grain tests that can be used to efficiently and effectively screen large numbers of small samples for potential malting quality.